Synonymous with style, elegance and grace, Seabourn’s fleet of award winning cruises are the perfect choice for passengers that want high-end service for every stage of their adventure. Every aspect of the experience is accounted for: gourmet dining, sumptuous surrounds and service, activities, entertainment and itineraries that are sculpted to ensure expectations are surpassed. Seabourn has partnered with world renowned celebrities, Michelin Star Chef Thomas Keller lends his expertise to every dining experience on the fleet, and Dr Andrew Weil has played an integral part in shaping a sea-first by introducing the Spa and Wellness Enrichment Program. 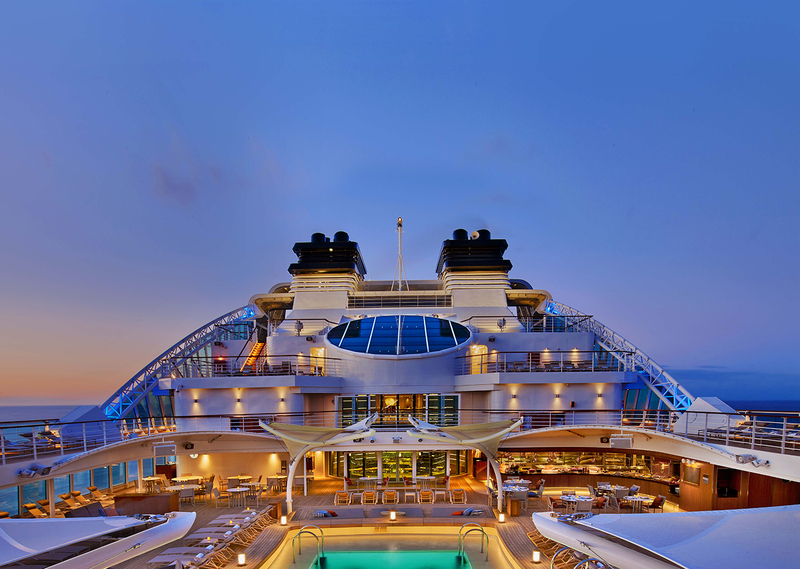 Seabourn have been consistently honored for their quality, service and value, including the prestigious title of "World's Best Small-Ship Cruise Line" by the readers of both Travel + Leisure and Condé Nast Traveler magazines. Berlitz 2018 has bestowed the honour of “Top 10 Small Ships” and Cruise Critic named Seabourn "Best for Luxury." Numerous other publications have recognised their luxurious accommodations, extraordinary level of service, exceptional dining, and unrivalled spa facilities. Immerse yourself in the Spa at Seabourn experience that offers a fully equipped gym and spa,the Spa and Wellness Enrichment Program integrates physical, social, environmental and spiritual well-being. Seabourn has partnered with Dr Andrew Weil in developing these programs based on his ground breaking insights and extensive researches featured in his best-selling books. Ventures by Seabourn are excursions guaranteed to be fun, where small groups ensure a more personal experience where no experience or equipment is required. Seabourn’s expedition teams arrange it all. Adventures vary depending on your itinerary, but include thrills such as picturesque fjords and waterways, trekking on scenic islands, whale watching, experiencing glaciers up close in all their sheer brilliance – your Seabourn team will ensure your adventure is unique and unforgettable. Luminaries, scientists, scholars and specialists from across the globe join passengers at Seabourn Conversations, to provide insight, expert opinions on every arena of the arts, sciences, politics and the humanities. On some ships, they lecture, on Seabourn, they join the conversation. Sourcing the very best of fresh and sustainable ingredients for Seabourn’s world-class gourmet is paramount to every dish served to guests. Matched with all-inclusive fine wines, crafted beers and premium spirits; let the highly skilled chef’s onboard make tantalising creations for your tastebuds. Winner of Best Culinary Cruise Line by Saveur Good Taste Awards, the accolade is justified. Seabourn is a proud member of Chaine des Rotisseurs, one of the World’s most prestigious gastronomic societies, devoted to the art of fine dining. Delivering only the best, Seabourn’s dining venues are further enhanced through a culinary partnership with Chef Thomas Keller, who currently holds seven Michelin stars total. Chef Keller has influenced and created signatures exclusive to Seabourn. We don't have any News yet, but check back next time.